Dancing? Check. 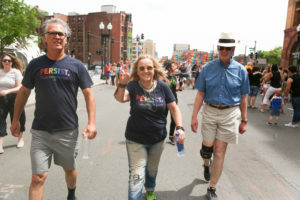 Marching with Melissa Etheridge? Check. Fabulous feather boa? Check! 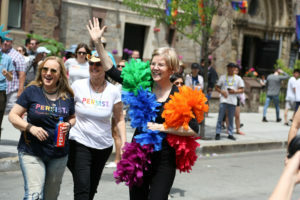 Elizabeth loves Pride parades, and the 48th annual Boston Pride Parade was no exception. 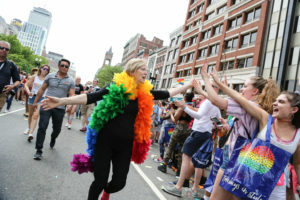 In fact, Boston Pride is one of her favorite days of the year — because it’s a day we all come together to celebrate the LGBTQ+ community and celebrate love. 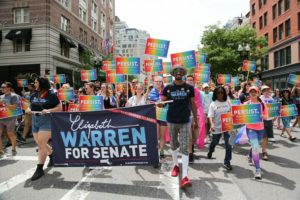 This year, the theme of Boston Pride was “Rainbow Resistance,” a statement against the Trump administration’s attacks on the LGBTQ+ community — especially against people of color and transgender Americans. 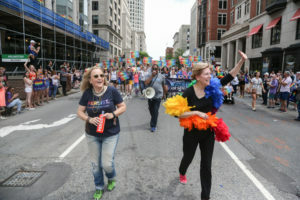 Thousands of folks from across the state gathered in downtown Boston — either marching in the parade, or cheering and waving alongside the route. The parade route began on Boylston street and ended at City Hall. 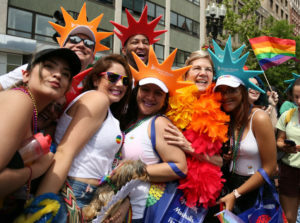 Elizabeth wore her favorite rainbow boa, while Team Warren sported rainbow signs to match. 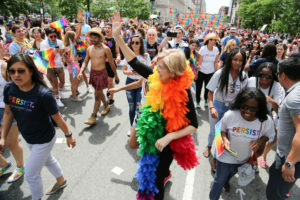 Plus, dozens showed up with rainbow Elizabeth Warren Persist shirts and buttons from our official Pride store. 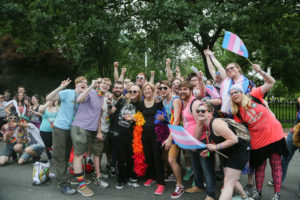 The Bay State has always been a leader in equality — in fact, Massachusetts was the first state in the country to pass marriage equality legislation in 2004. That’s why, in this time of national division and fear, we unite. And in this time where we see our progress on LGBTQ+, and especially trans, rights being threatened, we resist. By marching together in Boston Pride this year, we showed the world that love is love. We'll keep marching. We'll keep dancing. We'll keep fighting. We'll keep marching. We'll keep dancing. We'll keep fighting until every person feels safe to be who they are and to love who they love. Equal is equal. 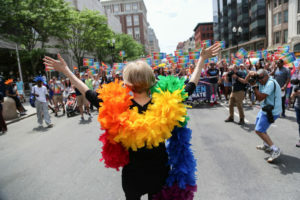 So on behalf of Elizabeth, thank you for your support for LGBTQ+ rights — throughout Boston Pride, during the rest of Pride Month, and all throughout the year. We’re going to keep marching until everyone feels safe to be who they are, and love who they love. We’re gonna be celebrating Pride all month long? Wanna join us? 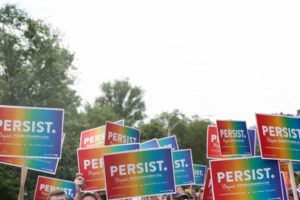 Add our PERSIST with Pride frame to your Facebook profile picture. Text PRIDE to 24477 to learn about our future campaign events and actions supporting the LGBTQ community.